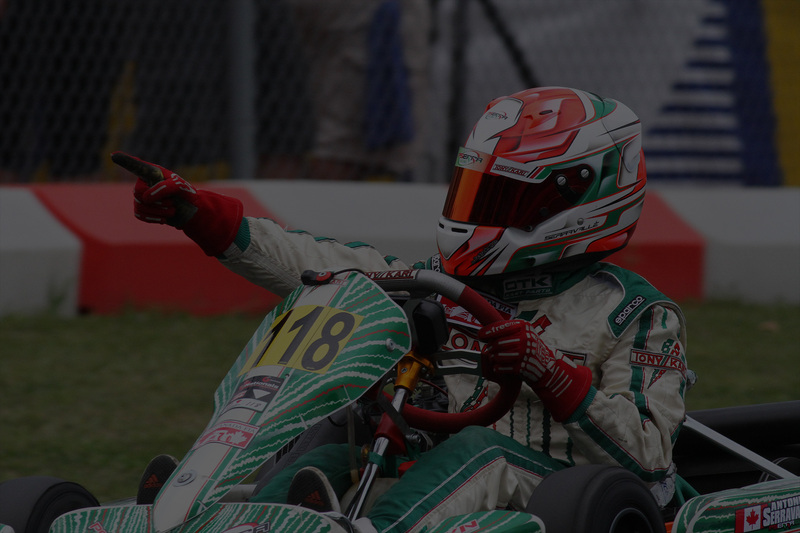 Descending on the legendary Goodwood Kartways for the annual ASN Canada FIA Canadian Karting Championships, Pserra Racing driver Antonio Serravalle would compete in and dominate the Rotax Mini Max division. Never putting a wheel wrong throughout the five-day event, the multi-time champion went on to lead every official session and claim the Rotax Mini Max Canadian championship. With the victory, Serravalle received an invitation to the Rotax Micro & Mini Invitation that will be held in New Orleans, Louisiana during the prestigious Rotax Max Challenge Grand Finals later this year. Taking the pole position during Friday afternoon’s qualifying session, Serravalle really stole the show when the wheel-to-wheel action commenced. Running fast and consistent laps throughout the three heat races, the young Canadian would claim the victory in all three and begin his quest for a Canadian title Sunday morning from the pole position in the prefinal. Turning up the wick on Sunday yet again, Serravalle dominated the prefinal taking the win by 3.383 seconds, setting himself up for an inside front row starting spot in the day’s main event. It would look to all go wrong for the Tony Kart driver as a poor start relegated him back to third in the opening complex of corners, but never one to give up, Serravalle put his head down and began his march back to the point. Quickly moving into the second position after a few circuits, the championship caliber driver would then set his sights on the leader who had opened a small gap. Turning some of the fastest Mini Max laps of the weekend, Serravalle would regain the lead just before the halfway point and never look back taking the victory by 3.569 seconds. 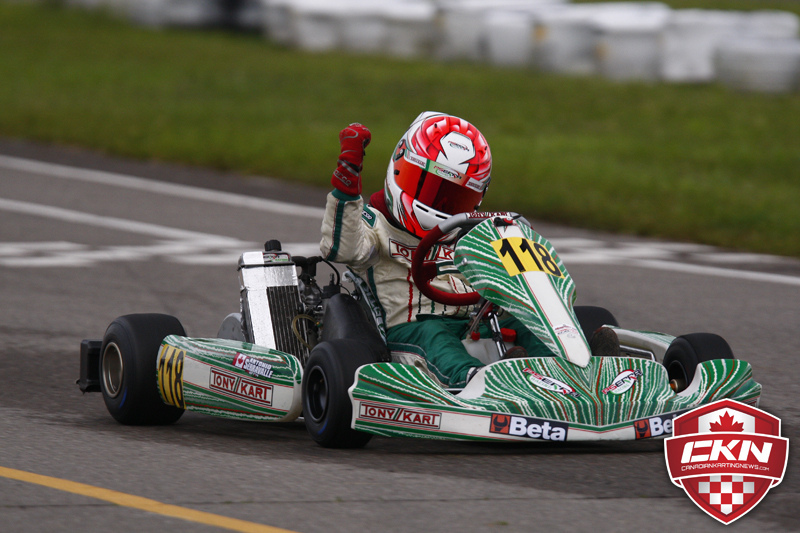 With the Canadian Karting Championships now complete, Serravalle will now shift his focus back to the Eastern Canadian Karting Championships (ECKC). As the current point leader with one event remaining and never finishing off the podium in all ECKC events so far this season, Serravalle hopes to again stand atop the blocks in two weeks time and add another championship to his racing resume. Along with impressive race results in both the United States and Canada, Antonio has also become one of the drivers to watch in Europe in both the WSK Euro and WSK Masters Series. Competing in the 60cc Mini class aboard a Tony Kart chassis, Serravalle has consistently run at the front of the field and is a threat to score the victory at each and every race.